Business Strategy - Grow your organization with purpose and prosperity. Opportunities - Uncover the potential in your market to achieve sales results. Leadership - Lead with confidence and effectiveness. Decision Making - Gain the clarity you need to thrive. Jill is the President and Founder of Johnson Consulting Services. She is an award-winning management consultant who has personally impacted more than $4 billion dollars worth of business decisions for her clients. Her substantive content provides your audience with the thought leadership she shares with her consulting clients. Her thought-provoking presentations will enable your attendees to adapt their strategic thinking to respond to evolving market and competitive dynamics. With a passion for results, Jill's content is laser-focused to provide clarity to audiences who want to understand the critical market forces shaping the future of their enterprises. She cuts through the clutter and quickly gets to the core issues. She brings a wealth of practical and proven business acumen to her presentations to provide your team or audience with meaningful insight and a platform for enhanced professional success. Jill is a powerful speaker with the rare ability to deliver substantive content in a way that is engaging and easily accessible. Whether she's speaking to senior executives or addressing a group of young adults, Jill brings her extensive professional experience and unique voice to deliver presentations that offer substance with style. She is known for her thought-provoking content, candid story-telling and actionable takeaways. Because her breakout presentations are content-rich, they are typically approved for continuing education credit. The value of hiring Jill to speak? Your attendees will think more strategically, become more effective leaders, make better decisions and achieve real results. Jill has over 20 years of management consulting experience working in the board rooms, the back rooms, and the executive suites where complex business decisions are being made impacting the future of clients located throughout the United States, as well as in Europe and Asia. She is a widely-respected business executive and leader who has been a member of the boards of directors and executive committees of a variety of business, professional, and governmental boards. Jill has served on several federal boards under three different United States presidents representing both political parties. Over the years, Jill has been quoted on a range of management issues in national publications including The Wall Street Journal, The New York Times, Money Magazine, Inc., Success, and Entrepreneur. She has appeared as a thought leader on a variety of radio and television programs for business. Her articles on leadership and business strategy have appeared in more than 80 magazines and online publications. She is also a 4th generation entrepreneur who grew up in a family-owned business. Jill has won numerous honors for her business acumen, her leadership savvy, mentoring impact, as well as her entrepreneurial success. She has received national awards from the United States Small Business Administration, the National Association of Women Business Owners, and from her alma matter, Drake University. Jill had also been inducted into two business Halls of Fame. Jill's programs can be presented as keynotes, break-out sessions, or half-day planning workshops. She is available for webinars or other remote presentations for you. She is also ready to serve as an emcee for your special event. Jill will tailor her content to meet your specific needs and to support your professional development goals! If you are looking for a special program designed to address your specific issues that falls within the BOLD Approach content framework, Jill is available to develop a unique presentation for you. Additional fees for these specialized programs will apply. She welcomes the opportunity to talk with you about your needs. 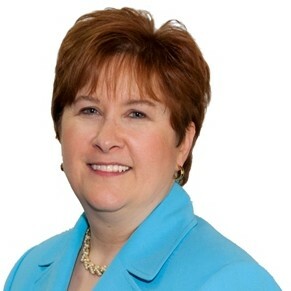 Find out more about Jill Johnson, MBA at http://www.jcs-usa.com.